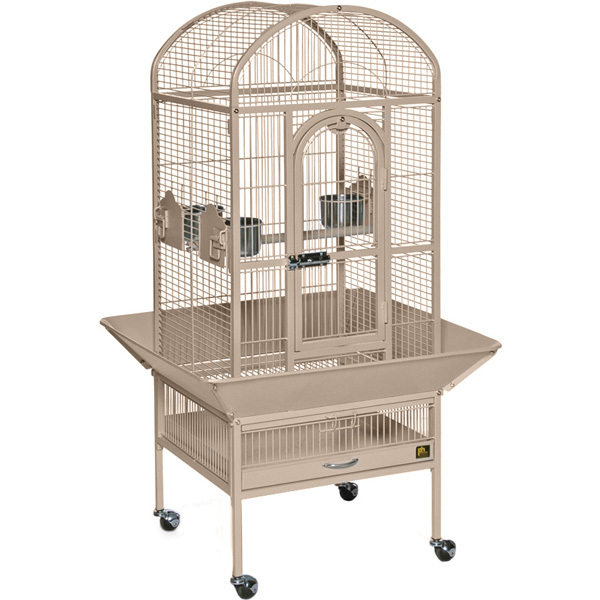 The Small Dome Top Cockatiel Cage has a roomy dome top design to give birds space to stretch their wings. The unique 2-in-1 front door opens down as a landing-style door or swings out for full access to the entire cage. 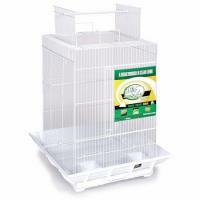 • Heavy-duty push button door lock is more difficult (if not impossible) for a bird to open vs. a simple latch. 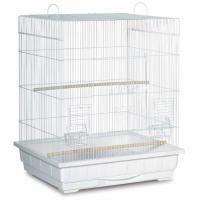 The button cannot be reached from inside the cage so the bird has no chance of opening the door and flying out. 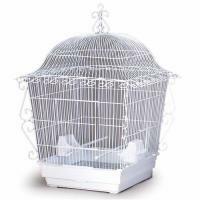 • Windbell lock at the top of the cage is an additional safety feature. • The door cannot be opened without flipping the windbell lock up and out of the way of the door. 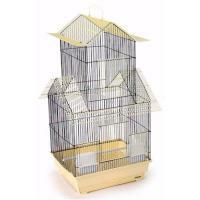 • Even if the pet owner forgets to slide the latch of the push button lock over to re-lock it, the bird still cannot get out of the cage because it is impossible for the bird to flip up the windbell lock while pushing the front door open and climbing out of the cage. • Cup door locks feature a metal strip lock that is placed in such a way to prevent the bird from opening the cup door while still making it easy for the pet owner to open the door to refresh the water or refill the food. • Grille clip is another safety feature - it latches up and over the handle on the pull out bottom grille to lock it in place. 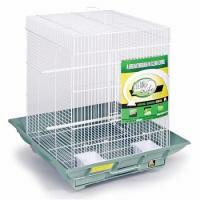 This prevents larger and more aggressive birds from kicking out or pushing out the grille and possibly trying to escape through the opening.